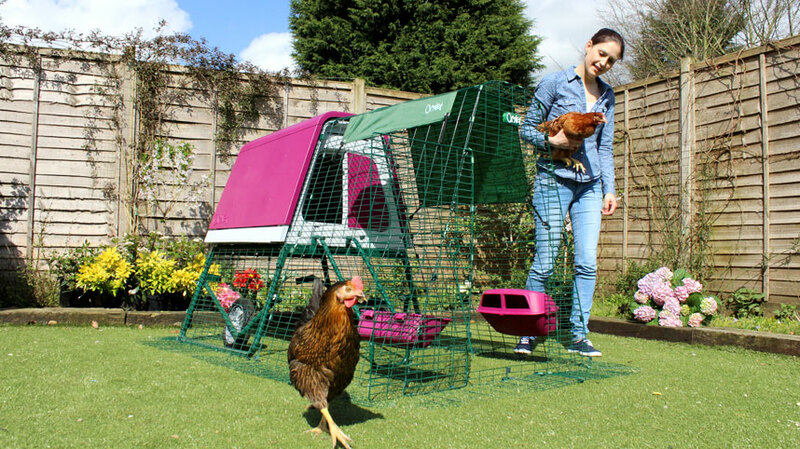 As the weather starts to heat up we have created a list of our top tips for keeping your chickens cool in the summer months. Chickens can suffer from heat stress and stop laying eggs therefore it’s incredibly important to take measures to ensure their temperature stays as cool as possible in the heat of summer. When chickens become very hot, you will also see them holding their wings out away from their bodies and ruffling their feathers, this is to help the heat escape. Unlike humans, chickens don’t sweat to release the heat, they pant, similar to a dog. Please keep an eye on them so that they don’t suffer from heat stress. Make sure you provide plenty of shade for your hens to escape the sun. We have a variety of heavy duty and shade covers for all our Eglu runs. Create a dust bath area for your chooks to nestle down and find a cool part in the ground. One key tip is to look out for the signs of heat stress and act fast, if you think one of your chickens is suffering, dunk them in a bucket of room temperature water keeping their neck and head above the water. Keep them inside in the air con and make sure they get plenty of water. Use a sprinkler/mister- the hens won’t like the water very much but it’s for their own good. Freeze fruit and veg in ice blocks so that your hens can peck at it. Or just freeze pieces of fruit, Watermelon is a popular favourite among chickens. Avoid foods such as corn and scratch as they require longer digestion processes, which creates more body heat. If your local climate stays warm at night simply place a large ice block in the coop, your hens will enjoy sleeping near it at night. Add vitamins to their water to make sure they are replacing the lost nutrients. Plan ahead for next year and plant a tree or bush to provide extra shade!